ASK COREY: How do I license my photography? Hey Corey! Thank you for all the great information and great work that you do! I’m curious about learning how to take the next step with contracts and how I license my photography? Any info would be greatly appreciated. Thanks! That’s a great question, and it’s an exciting when moment someone wants to license your photography. You’re already off to a great start by knowing to use the correct language: “license.” Very rarely does someone want to buy your photography; most often, they license it. Setting a pricing structure comes down to analyzing several variables: Where is the picture going to be used? (Commercial vs editorial; web vs print; outdoor signage vs purchase displays.). How big is the photo going to be used? (Will it appear on the side of an office building? Will it appear as the lead image on a website?) How long the picture will be used? (What is the duration of use?) And is it going to be exclusive or non-exclusive: meaning, will the licensee require that you can’t allow others to use that same image at the same time? There are a few great resources available to learning more. Personally I learned by reading Jim Pickerell’s “Negotiating Stock Photo Prices,” a classic book that was last published in 1997. Today Pickerell is running the selling-stock.com blog that covers all trends in the stock photo world, and is one great online resource. But see if you can also get your hands on Pickerell’s book. The pricing structure outlined in the book is certainly now out of date, but it will still arm you with the vocabulary and fundamental tools you need to begin negotiating stock photo prices. There’s also a software called Foto Quote, which last I checked, was about $100. It’s a pricing software calculator that also offers a ton of insight into contracts and pricing structures. Check all the big stock sites: Getty, Shutterstock, Superstock; etc. Just about all the big stock sites have pricing calculators to let you run your numbers free of charge. Just be forewarned that the numbers these sites will give you tend to be on the low end. Finally, consider becoming a member of the ASMP (American Society of Media Photographers). 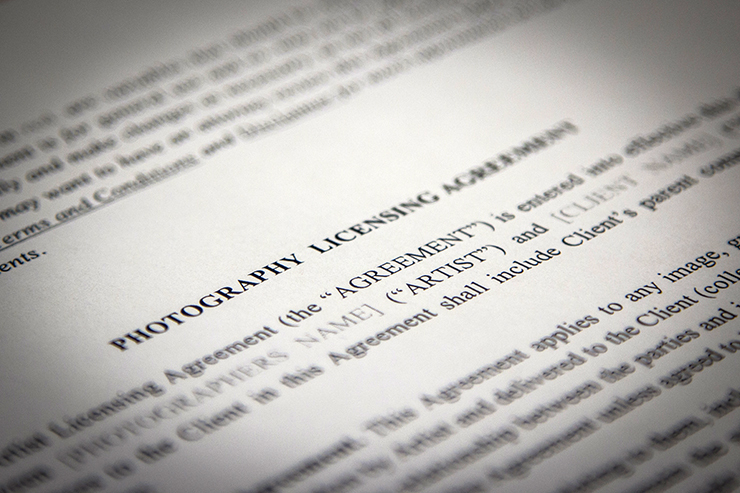 This trade association helps protect your rights and interests, and it’s a fantastic resource that will get you started pricing your photography and writing contracts. Do some research. Get your hands on some of these tools. And most importantly, reach out to your fellow friendly photographers—guys or girls who maybe aren’t doing exactly the same work as you (so it doesn’t feel competitive), but whose work you respect and have a better handle on these business practices. They will likely be willing to share their best business practices and provide you with insight. And hopefully, you’ll be able to return the favor to them some day, too! Nice write up Corey, thanks for sharing those links and your beta. Solid! Corey I have a question, what is the best way to get sponsored/become an ambassador for companies?